​In the late 1990s after seventeen years working as a commercial and fine art Patricia's experiments with trance inducing video led to a yoga and meditation practice and a deepening interest in art as healing. 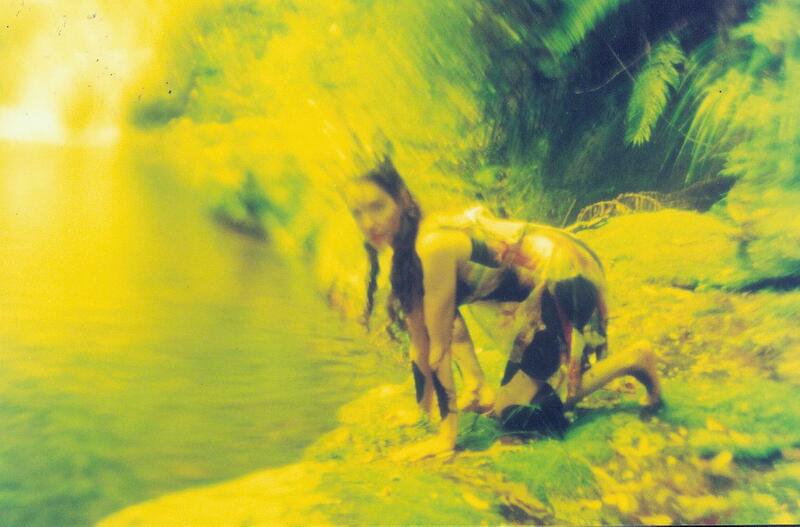 She began an intensive practice in the environment using expressive movement, ritual and video. This was a private practice not intended for public display though some of this work has been documented with video. It is in this work that her fascination with Nature's forms and the ways in which kinaesthetic experience and dream symbols can extend our understanding of bodily experience combined in a series of costumes including "Four of Me" and "Four Parts of Me". Experiences from this practice were included in her Community art work and prompted the PhD research that she is currently conducting at UNSW, Sydney, Australia. 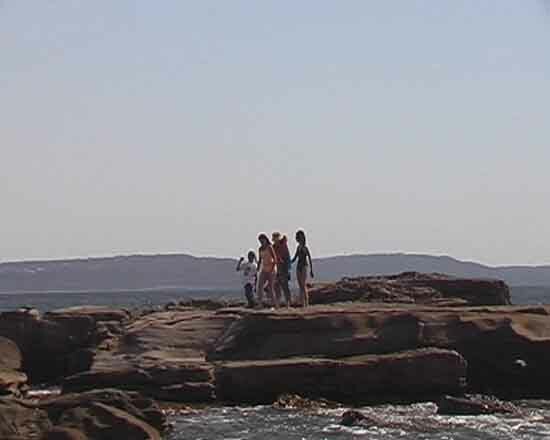 The Rock Platforms 1 (2005) Video Still. Performance. Palm Beach, Sydney, Australia. The Rock Platforms 2 (2005) Video Still. Performance. Palm Beach, Sydney, Australia. 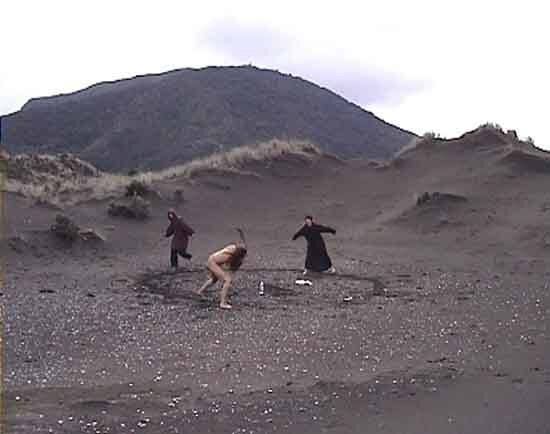 Four Parts of Me (2005) Body Painting, clay objects, Performance. Kare Kare Beach, Waitakere, New Zealand. 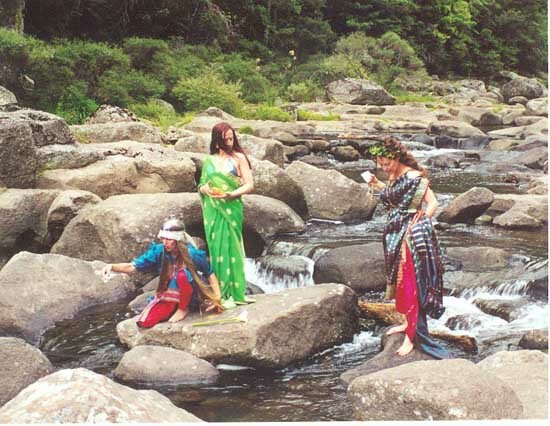 Prayer for your travels (2005) Environmental Ritual Bay of Plenty, New Zealand. My Space (2005) Video Still. Performance. Cheltenham Beach, Auckland, New Zealand. 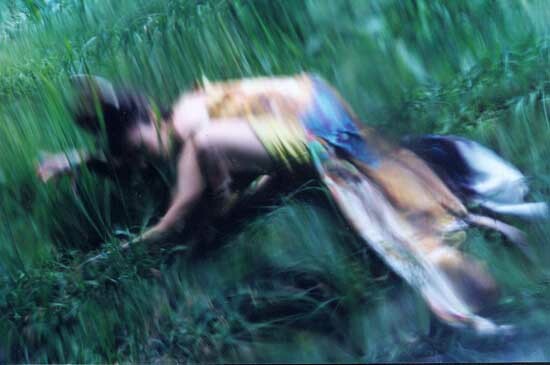 Tamalpa Workshop 1 (2004) Expressive drawing and movement Maui, Hawaii, USA. 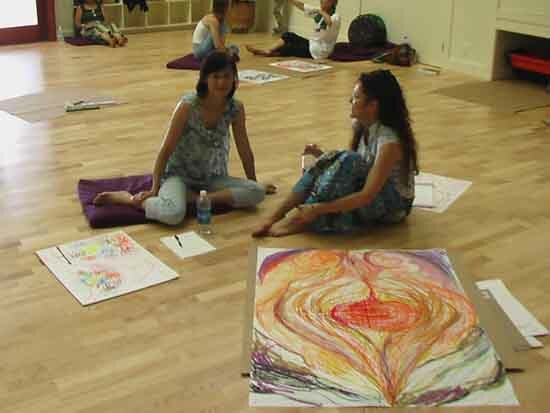 Tamalpa Workshop 2 (2004) Expressive drawing and movement Maui, Hawaii, USA.